In the programme for Robert Khan and Tom Salinsky's new comic play Impossible [★★★★☆], the two principle characters of Harry Houdini and Sir Arthur Conan Doyle are each described as 'a creator of fictions'. This is the key dualism at the heart of this tale of magic and mysticism, and one which fuelled the real-life rivalry between the two great men: Houdini, the famed escapologist, sceptic, and peddler of a supernatural on-stage persona; and Doyle, the novelist, creator of the greatest non-mouse detective resident on London's Baker Street, and fervent spiritualist. 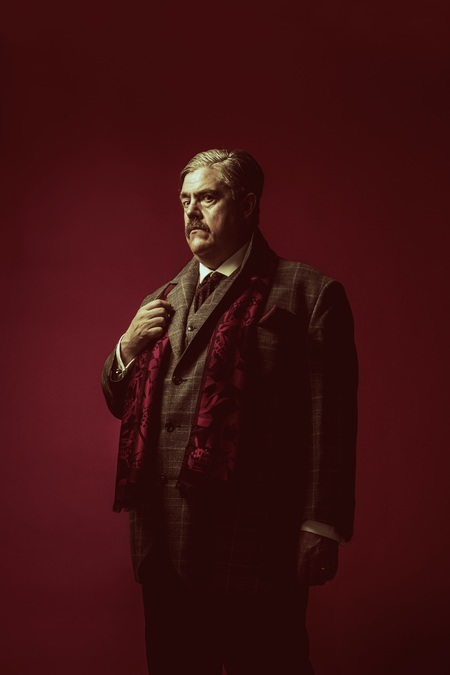 A certain dualism exists in Hannah Eidinow's direction, too, with Phill Jupitus's dour Doyle providing a static straight man to Alan Cox's dynamic, flamboyant Houdini. In bringing such a story to the stage, Khan and Salinsky's script is woven through with great humour which plays right into the hands of their performers. The cast revel in their respective roles, and aside from a few slips of the Scots and American tongues into something a bit too anglicised, the performance is careful, calculated and captivating. 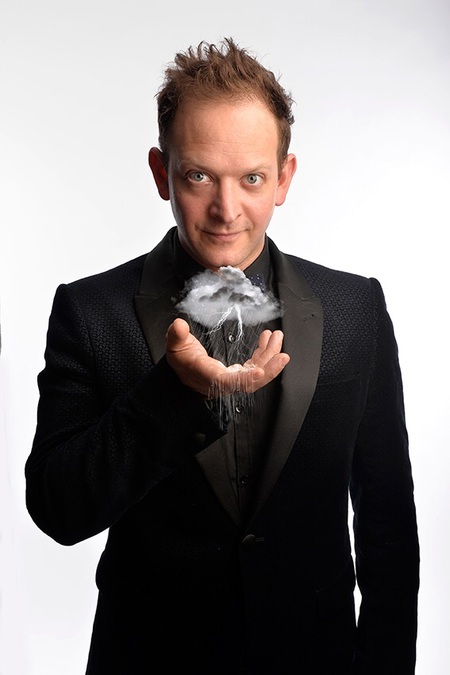 We can find distinct and contrasting styles in the world of present-day magic too: the antithesis to the quiet, suave mentalists of the cabaret world, Neil Henry [★★★☆☆] has a cheeky-chappy attitude, both dressed and acting like a children's entertainer. We are genuinely stunned as his opening trick goes from ridiculous to sublime – we start off clapping because we are told to, almost in sympathy, and then burst into shocked applause as this seasoned performer shows us that, yes, he may be wearing a bright pink bow-tie, but he is serious about what he does, and seriously good, too. Magic fans may recognise a few of his tricks from elsewhere on the circuit, but each is carried out with verve and warmth, always aware of his audience's needs and insistent that no one should feel uncomfortable at any point. Henry deals well with the daytime crowd, and today even being repeatedly heckled by a baby doesn't derail him. 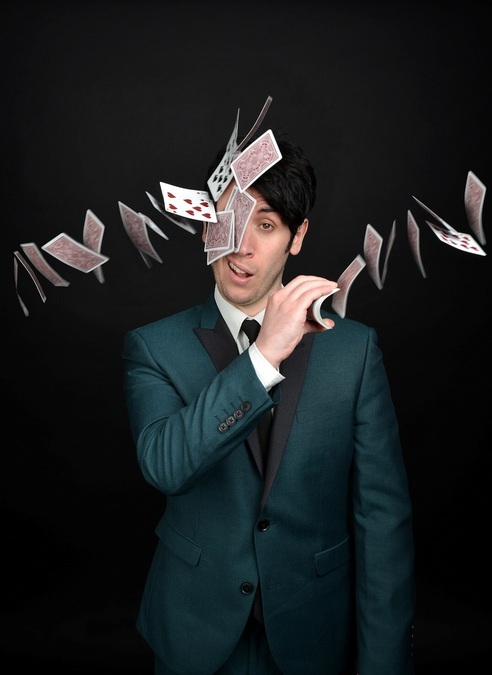 But as masters of comedy magic go, look no further than Pete Firman. Firman always has a distinctive, impressive way of making his way onstage, and this year's Super Duper [★★★★☆] is no exception. From this point on, the tempo is kept up high with non-stop laddish gags and upbeat party music, so that as well as the amazing displays of magic, we feel like we're getting ready for a damn good night out. Playing with classic tricks but applying his own style, Firman has even twigged that sleight-of-hand magic is hard to see from the back, and uses cameras and projections to bring us all up close so that none of us miss a thing. Within the show we see contrasts of style: the rough-and-ready Fringe-budget-chic of some of his props, and the blasé set-ups to jokes and tricks alike are completely at odds with the magical pay-off. A slick and loveable performer, with an hour of exceptional tricks that just zips by.